Situated in Brierley Hill, this centre is easily accessible and close to shops and public transport. 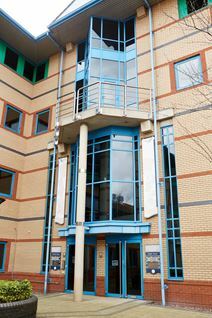 Offering high quality office space and meeting rooms ideal for a range of business types and sizes. Within an easy commute of Birmingham City Centre with a range of shopping centres and luxury hotels, this is a great location for your business. Local bus services serve the area, making for easy access for commuters. Recently refurbished, office suites available from 100 sq. ft. at this detached, five-storey, 46,000 sq. ft. modern building on the established Waterfront Business Park development. Large open plan spaces can also be subdivided as per requirements, while transport links are close by for convenience.